The Corner Club is beloved by longtime regulars and U of I students alike. The spot on the wall looks impossibly high. A cement block painted black about 11½ feet from the ground is all that's left of the Corner Club's favorite story about a would-be professional basketball player showing off his vertical leap. "There used to be a beam across the front of the bar," says Mel Miller, a 30-year veteran of the Moscow establishment, telling the story to a couple of first-time listeners. As the story goes, Gus Johnson played for the University of Idaho Vandals in 1963. He would later be selected in the second round of the NBA draft by the Baltimore Bullets. One night at the bar, the owner asked to see him jump. Johnson touched a spot on the wall that would taunt and challenge patrons for decades. The owner marked the spot with a nail. Not just a nail, Miller says. More like a spike. "If you touch the nail, you get a free beer," Miller says. "Everybody tried it. For a free beer? Everybody tried it." The beam isn't there anymore — the bar was remodeled when it had to be moved back from the road to make way for a rerouted Highway 95. The character of the "old bar" is preserved even if the nail isn't. 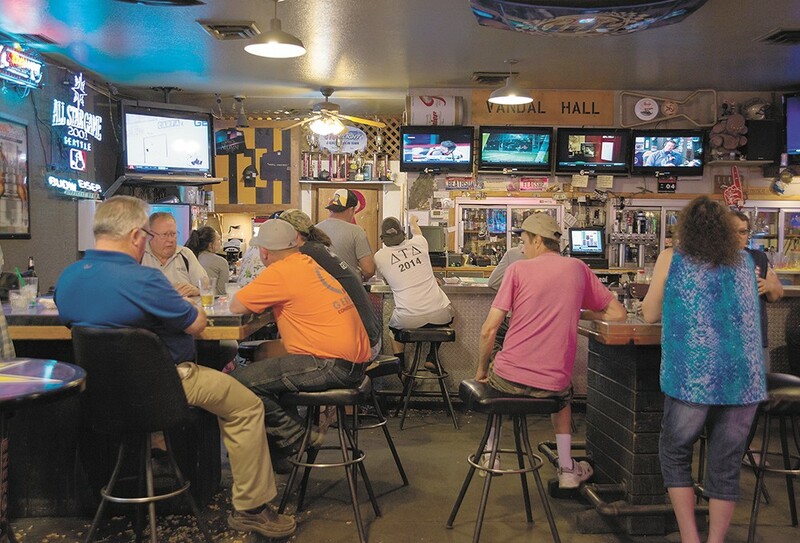 Regulars stop in after work before the mass of college students show up for cheap drinks. They recount stories upon request, checking the facts against newspaper clippings and photos mounted on the walls. Before it was the Corner Club, it was a church, a convent, a brewery and a restaurant, says owner Marc Trivelpiece. The pews stayed around for awhile — the Vandals football team used to sit in them while their coach showed game film. The painted brick on the outside of the building was added after people made a fuss about the nail's disappearance. Without it, it's hard to really understand the height of this thing. For one, the ceiling is lower. But imagine two tall friends, one standing on the other's shoulders. Now imagine standing in front of them and jumping to give the second guy a high-five. "You had to go to the bar and go straight up and touch it," Miller says. "There was no running start — none of that." Nobody replicated the jump until 1986, when Joey Johnson (Seattle SuperSonics legend Dennis Johnson's younger brother) stopped into the Corner Club with his College of Southern Idaho basketball teammates on their way to Coeur d'Alene. He hung on the nail on his third try. Listening to Miller tell the story, bartender Sarah Laurion — about to graduate from the University of Idaho — asks if you can still get a free drink if you touch the mark. "I'm sure Marc would give one to you," Miller says.